Teki’ahgedolah And nonetheless: I again knew moments of wholeness. Just last weekend, my husband, Ralf, and I were out at an office supply store, buying little gifts for my congregants. When we came home, Ralf checked, as he does several times a day, a website with breaking news. There’d been a shooting at the home improvement store around the corner, just minutes away from where we had been shopping. No details yet. The next day, I wrote a column for the Charlotte Observer’s Neighbors section for my region. I’ve written my column, “On Common Ground” for seventeen years. I wrote about CVAN, the Cabarrus Victims Assistance Network. I’ve written about CVAN regularly over the years – it is a respected institution in my home town, one which has helped battered women and their children start lives afresh for two decades. I quoted statistics – in particular, the sad fact of how many women are killed at work by partners and husbands. I sent off the column. I learned the details of the shooting two days later. Zoua “Vivian” Xiong, 25, mother of three, was killed at the Lowe’s Home Improvement Store. Police say that her husband, Por Ye Lor, 31, shot his wife during an argument. Then he killed himself. 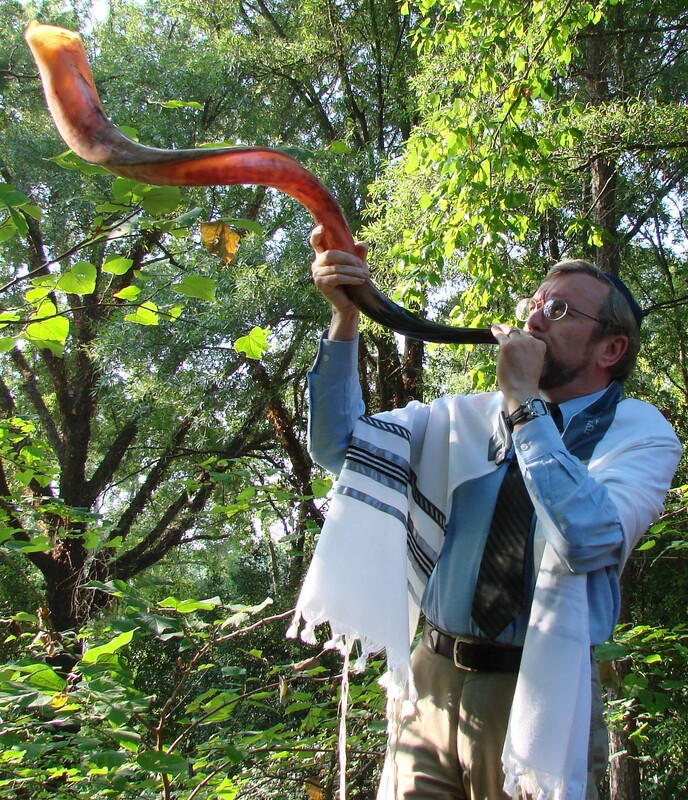 Next week, my own husband will lift our five-foot shofar and sound its cries at our High Holy Day services. I will sing out the sounds of wholeness, pausing, breaking, recovery. The sounds of the shofar are the calls – and the cries of our soul. So taught the seventeenth-century Rabbi Isaac Horowitz. 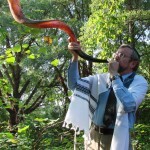 First, the shofar calls out to us first in affirmation, with the long whole note of tekiah, a clear and simple blast. Tekiah reminds us of our wholeness; it makes the sound of shleimut. Shleimut comes from the same root as the word shalom. We associate shalom with peace, with safety. When are we most peaceful, safest for everyone around us? When can we care for a troubled world? When we ourselves feel whole. We all know what it is to lose our center, to find ourselves scattered and upset. Shevarim, the shofar’s second call, is a broken sound. The shofar sighs. It pauses three times, in sadness and regret. We have lost our balance. Teruah, the alarm, comes next in a rapid-fire series of nine or more sharp notes. We hear the sound of shattering, of destruction. A note has fallen into pieces. So, too, our hearts. Finally, in a redeeming moment, tekiah g’dolah. The shofar calls us back. The extended, long sweet note, the one that fills us up again, heals our pain. The deep and primal sound of tekiah g’dolah insists: Despite everything, we can be whole again. What are our lives if not an endless recurring cycle of wholeness and brokenness? We feel strong, purposeful, filled with hope. We do not anticipate the blow, the terror, the loss. But it comes. We meet with hypocrisy and cruelty. We encounter the lying tongue, the slanderous talk, the small-minded daily evils human beings inflict on one another. Perhaps fate strikes. We lose a beloved, the doctor has bad news. Or maybe it is the simple and daily act of living in this world that breaks and shatters our peace. We open the paper or turn on the news and (can we avoid it?) face the pain of countless human beings living in despair, without jobs, without dignity, without homes, without food. We read of a young woman, only 25, with three children, murdered at work. Living gives us pause because so many are dying without cause. How can we mend? How can we find peace and wholeness again? What endures all the ills of humanity, the pain we inflict and the pain we feel? If I glance out my office window to the right: I look into the light of the five-fingered green leaves of my gumball tree. The heart-shaped leaves of the redbud at the far left of the yard fairly flow off the branches. The thin, long willow oak leaves just ahead make lacy patterns against the sky. There is peace in the shape of nature that will outlast me. I look out and I pray. I pray the broken sounds and the scattered ones. I pray out shattered, piecemeal horrors and griefs. I list all that I can think of, all that weigh upon me. I ask for help. For myself, I ask: May I hear all the cries of the shofar, of the souls around me in some way each day. May I do something this day that counts for wholeness. May I find a way to sound a soft but sure tekiah g’dolah. May my work mirror that primal, healing sound of the shofar’s sweetest call. For the world, I ask for wholeness, shleimut. May we reach out and not turn away. May we love. May we choose life, not death.